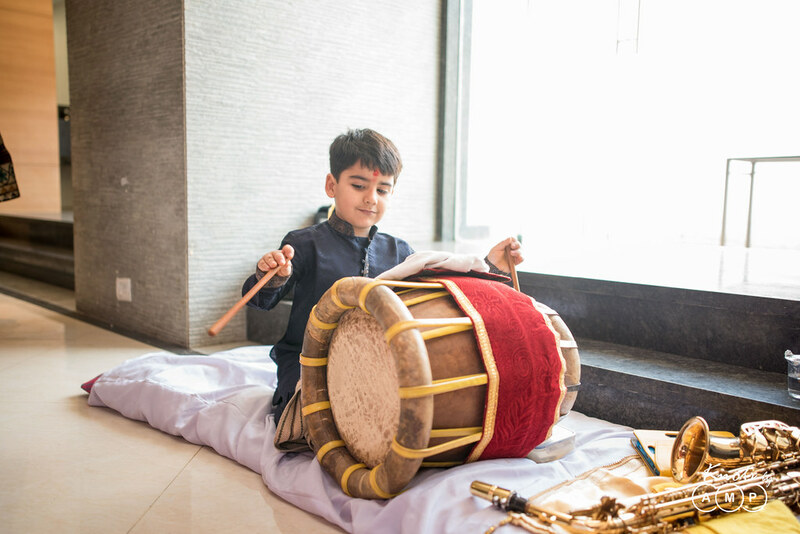 At AMP we have shot diverse weddings starting from Tulsi Vivaah, Sangeet party, Catholic wedding, many kinds of Hindu weddings and almost everything under the sun. Just as we were about to define diversity we stumbled upon Mayank and Roshni’s wedding that had it all in one. 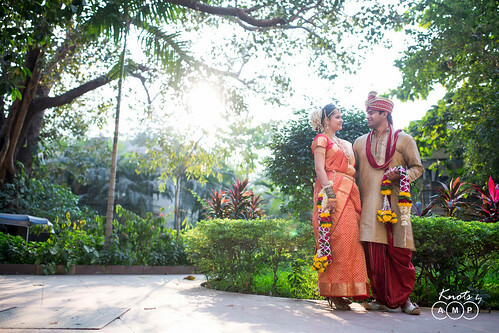 A true celebration of love that is bound by no culture. 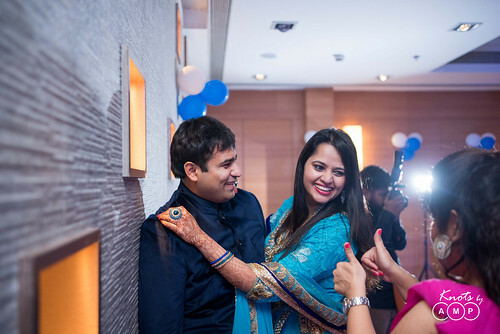 The joy of being together for a life time, flashed with the same energy and enthusiasm in all forms. If someone has taken mixing of diverse genes for superior progeny most seriously, it has to be them. 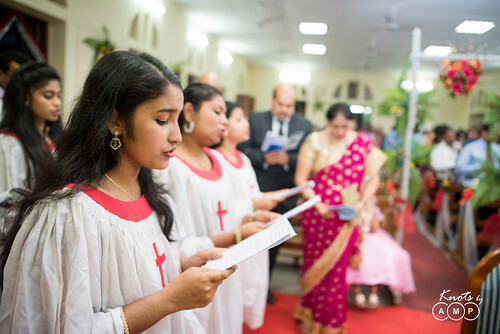 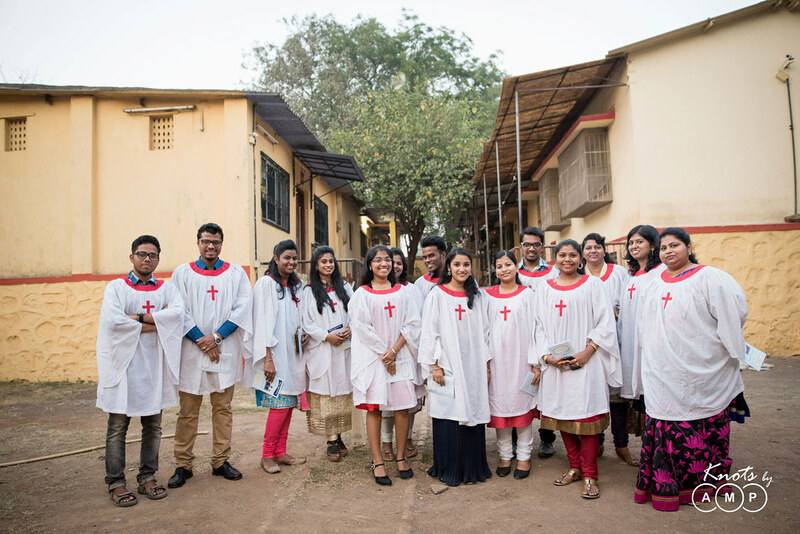 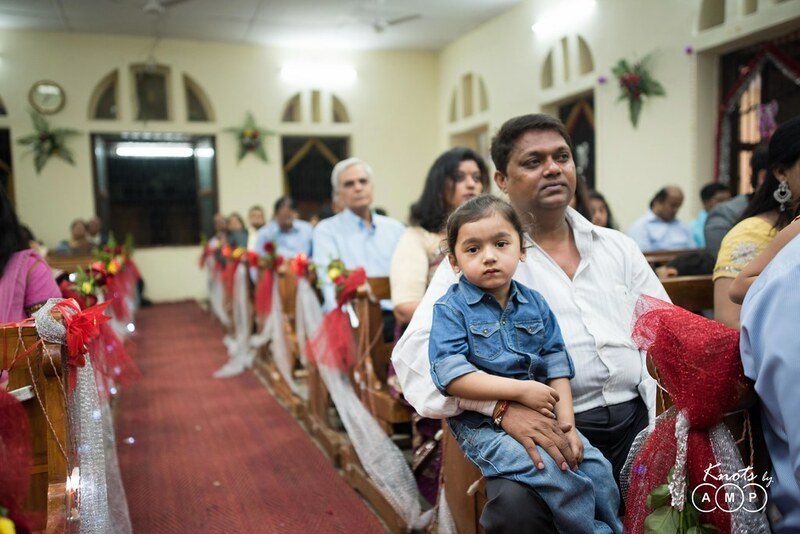 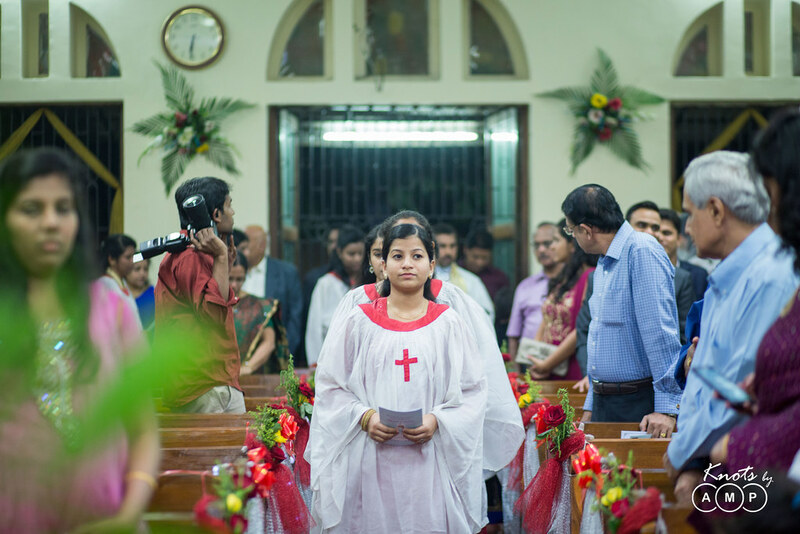 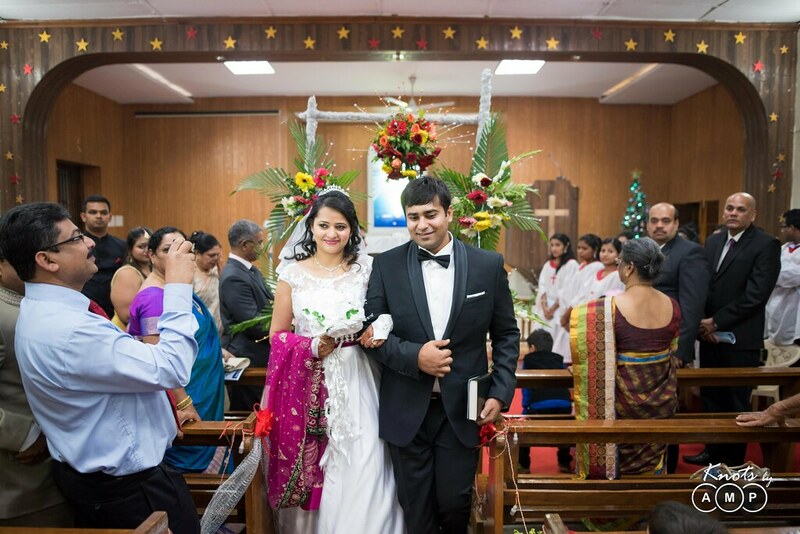 While Mayank is half punjabi and half malayali christian, Roshni comes from a Mangalorean Hindu family. Their union is perfect example of unity in diversity of India and how love can bring two different families together. 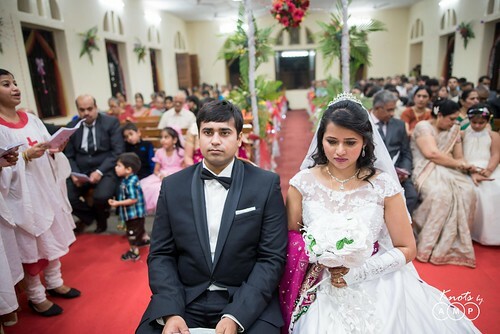 Their wedding was a three day affair. 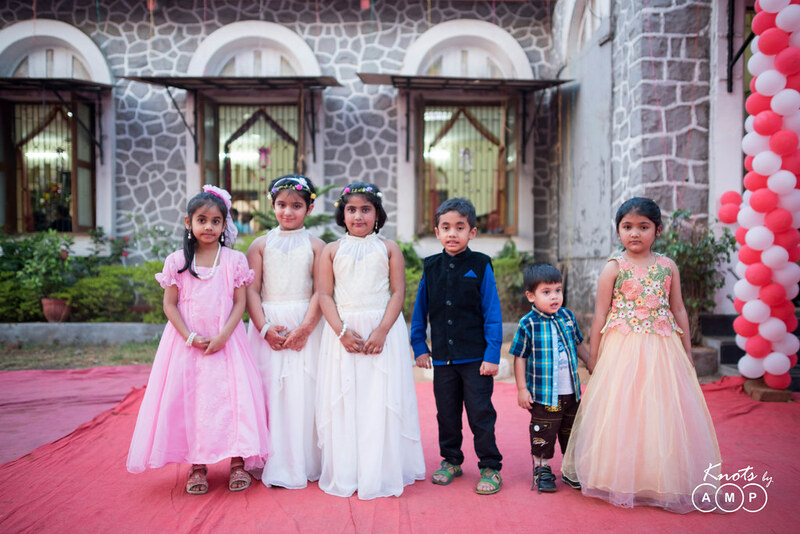 While Mayank knew Anupam from school, when Roshini stumbled across our work on facebook she suggested that they hire us. 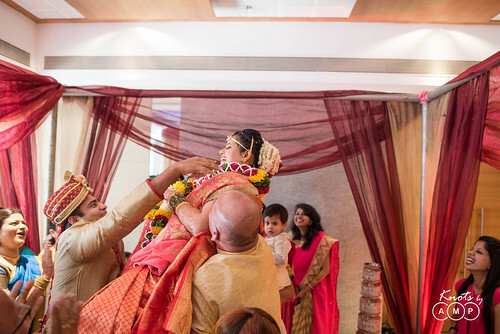 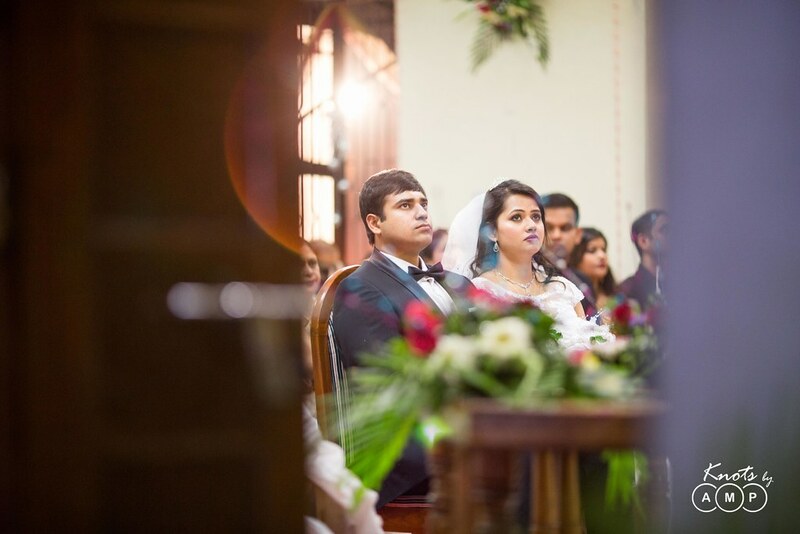 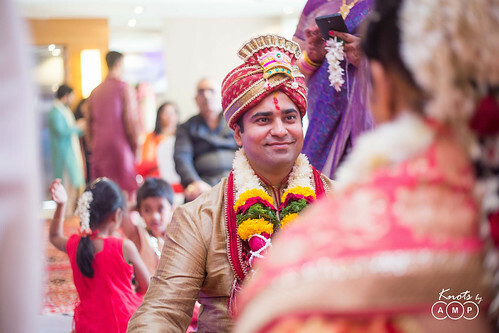 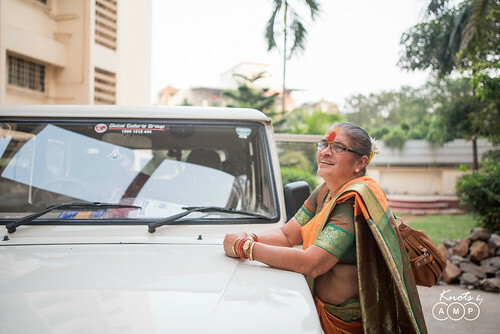 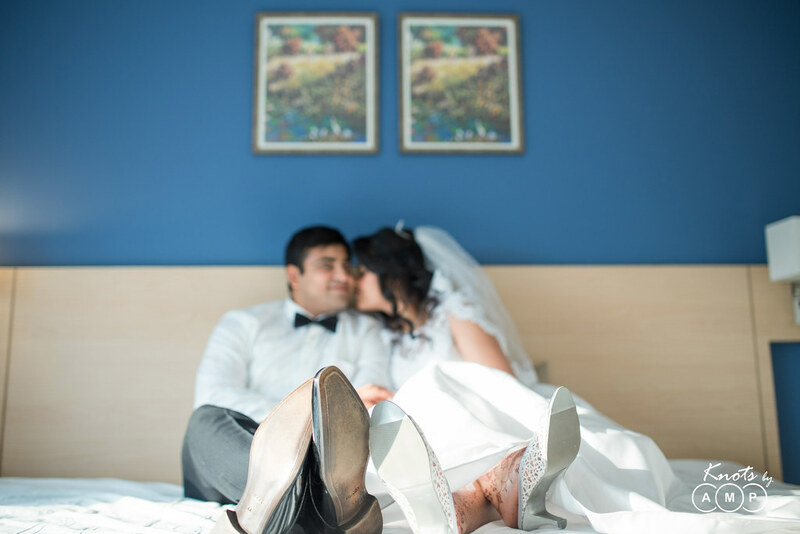 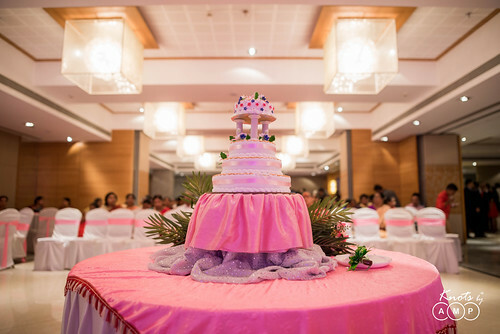 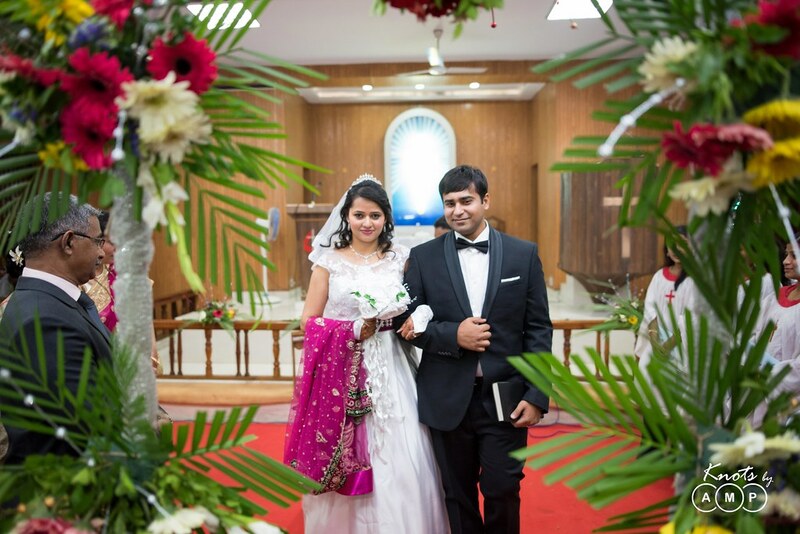 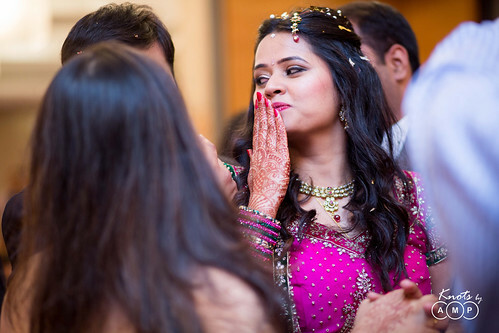 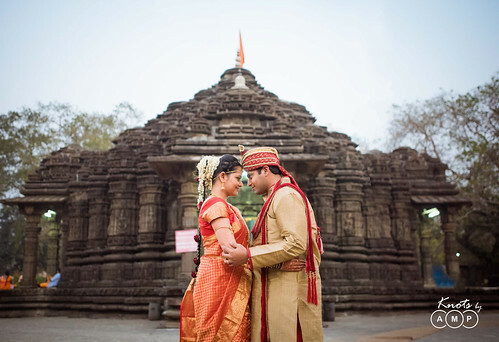 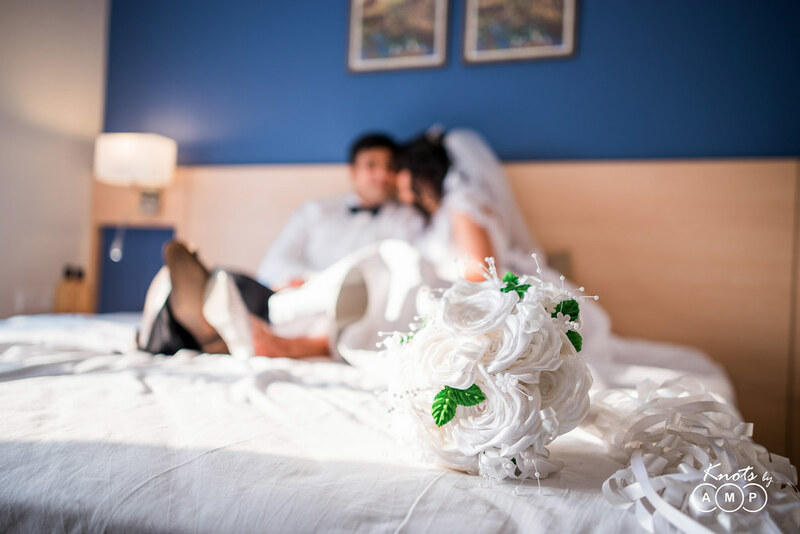 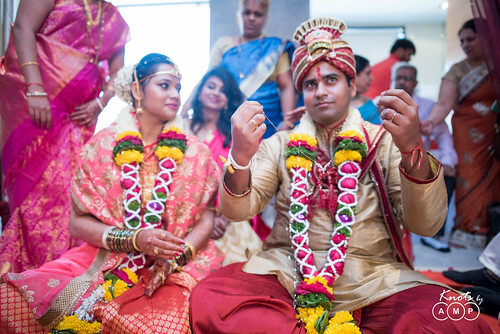 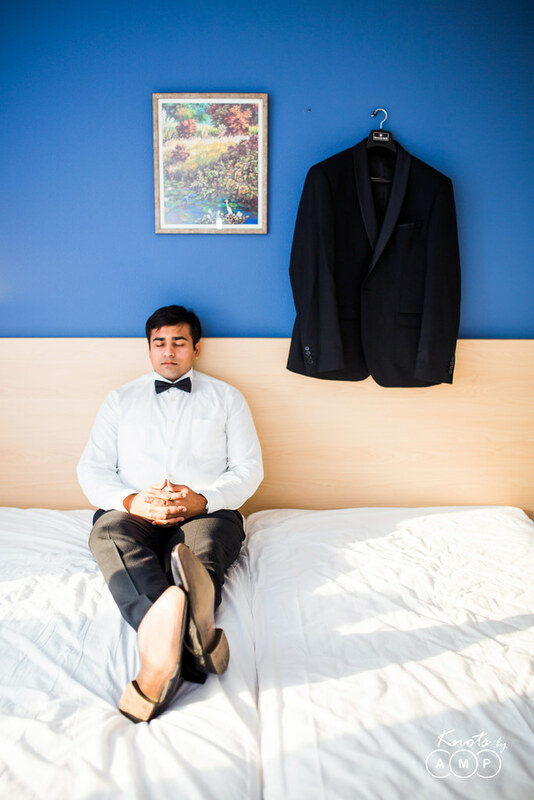 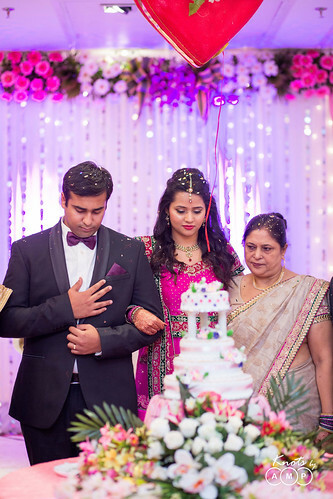 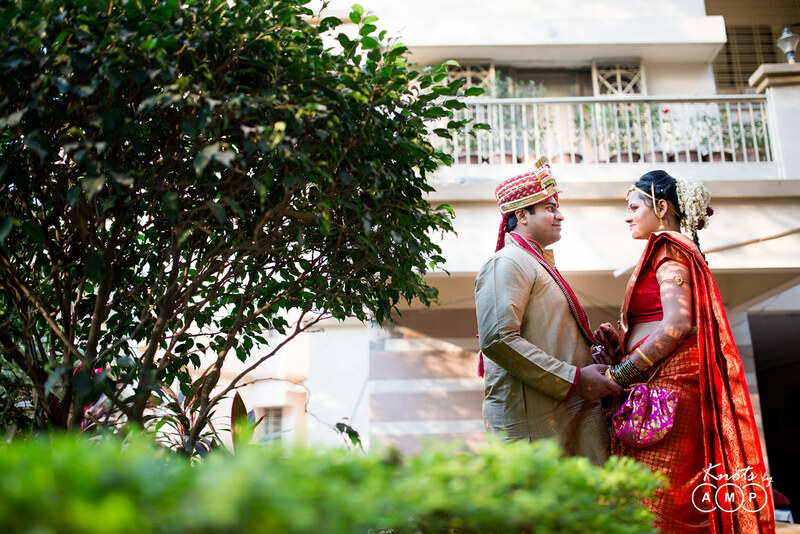 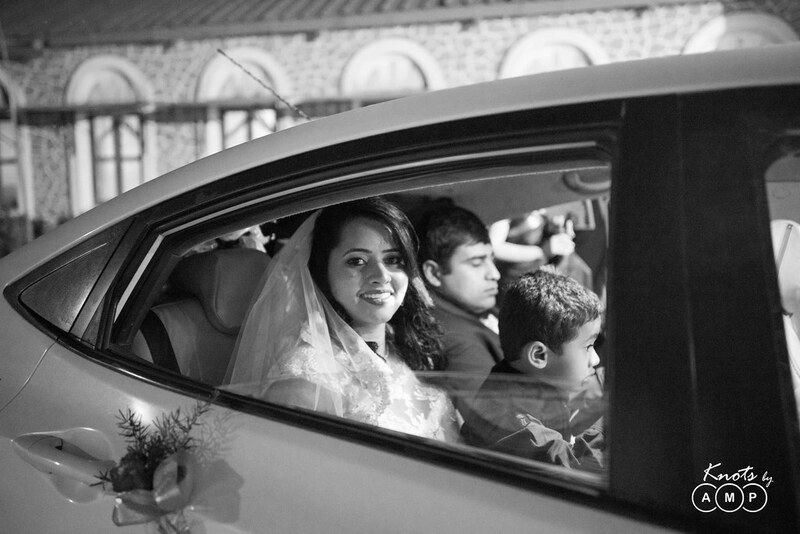 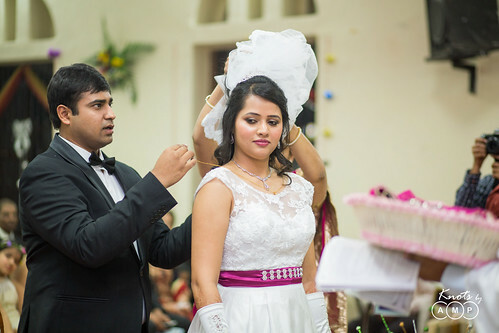 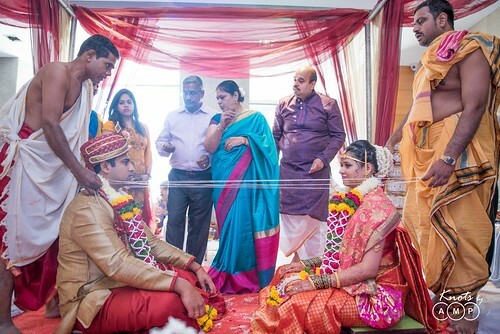 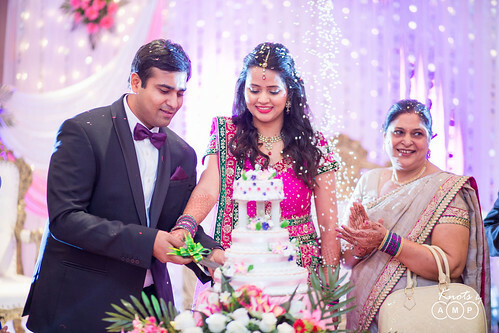 This came as a no-brainer to Mayank, and we were on-board to capture this amazing wedding. 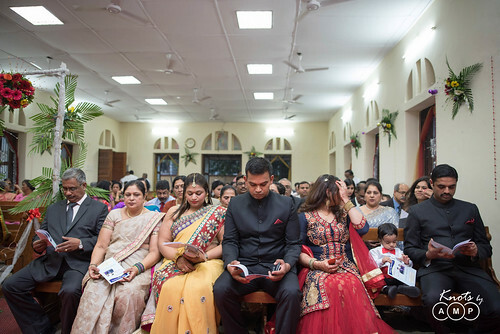 The wedding took place in Ambarnath, Thane. 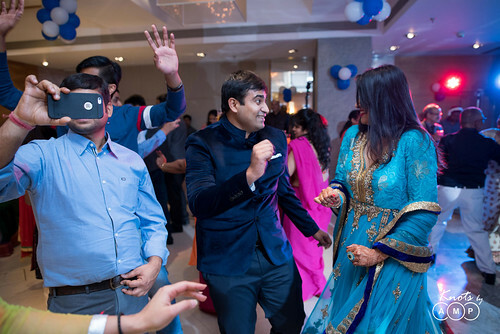 The pre-wedding jitters were expressed in the form of endless dancing and a bunch of cocktails. 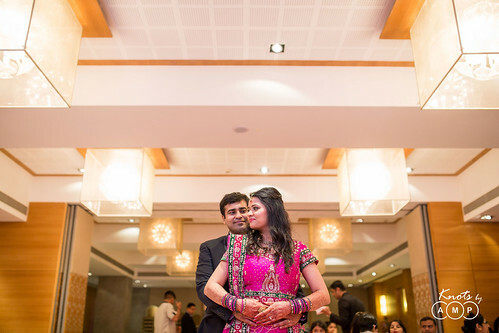 The ambience was all set for a three day long gala wedding. 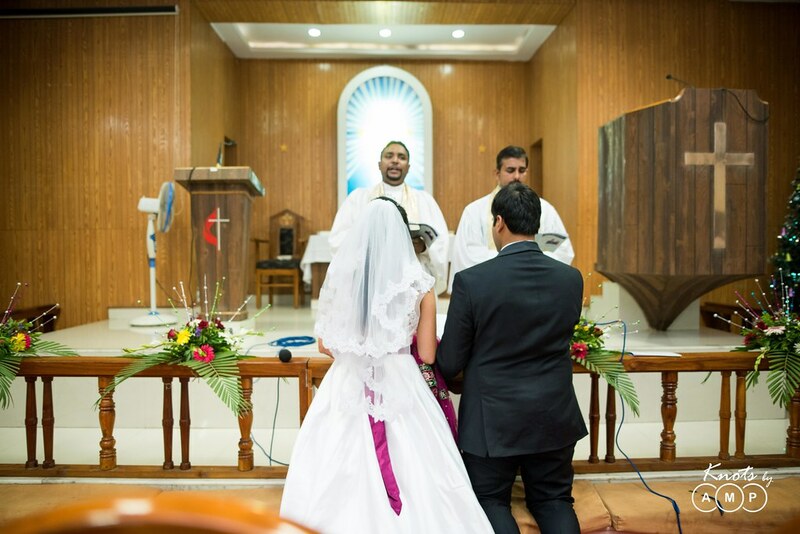 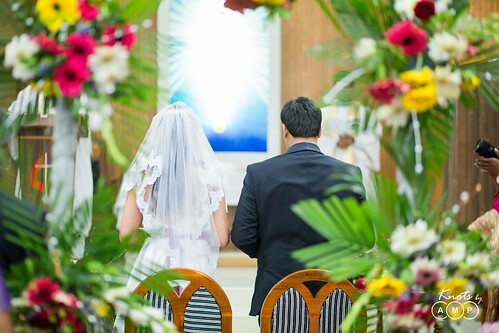 The next day began with the Bride and the Groom taking the vows at the altar. 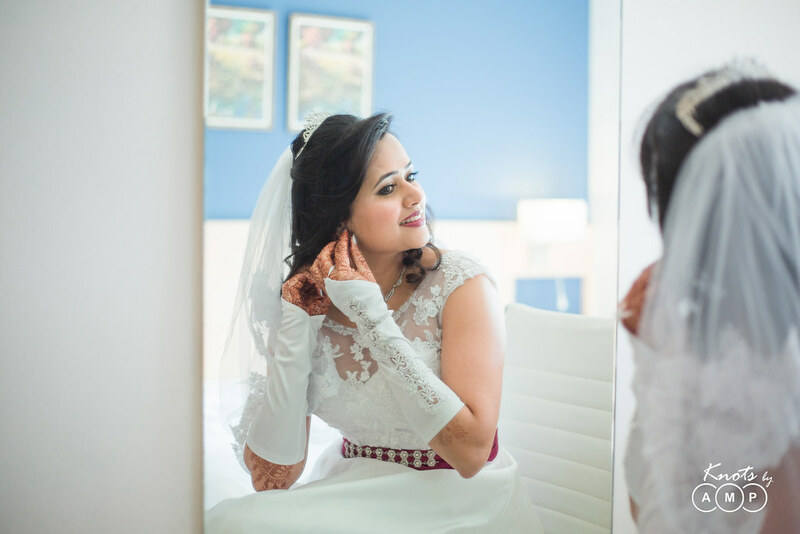 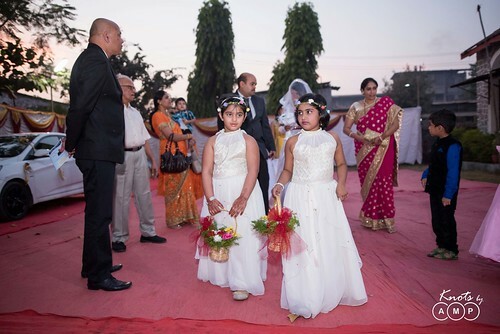 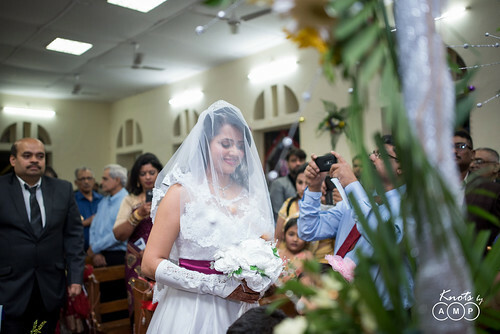 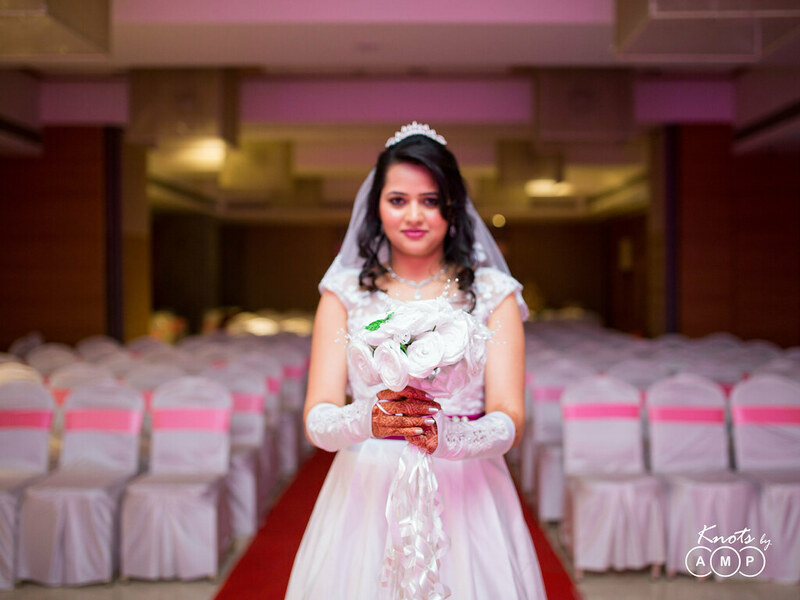 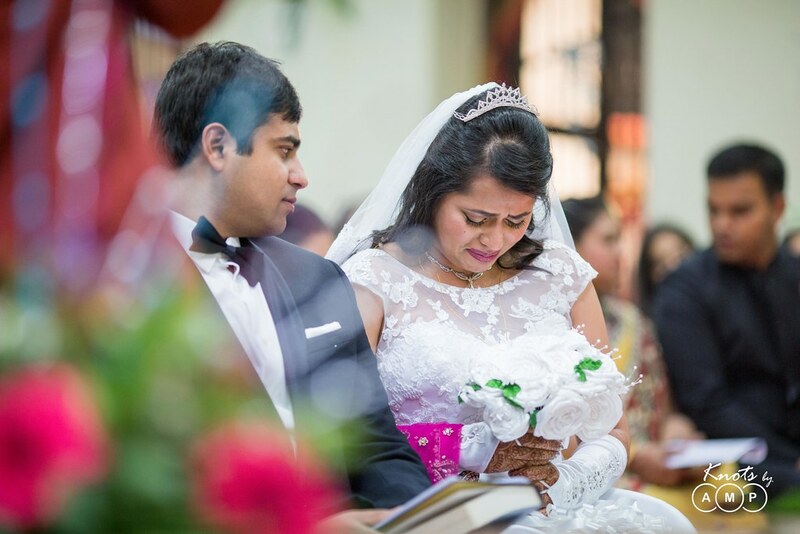 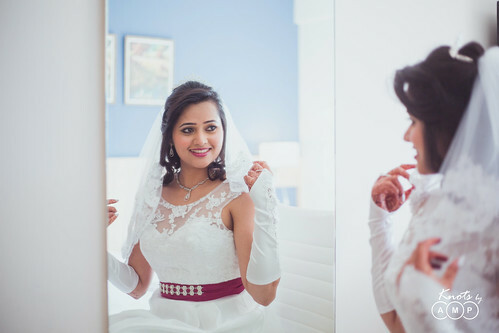 Roshini was dressed in an alluring white gown with a glittery tiara on her head. 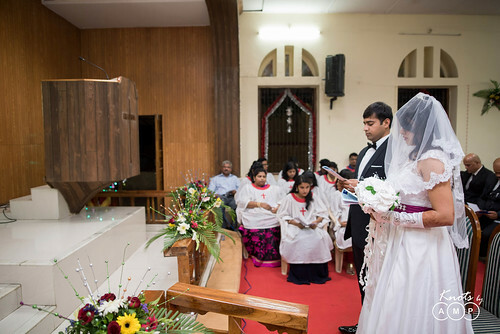 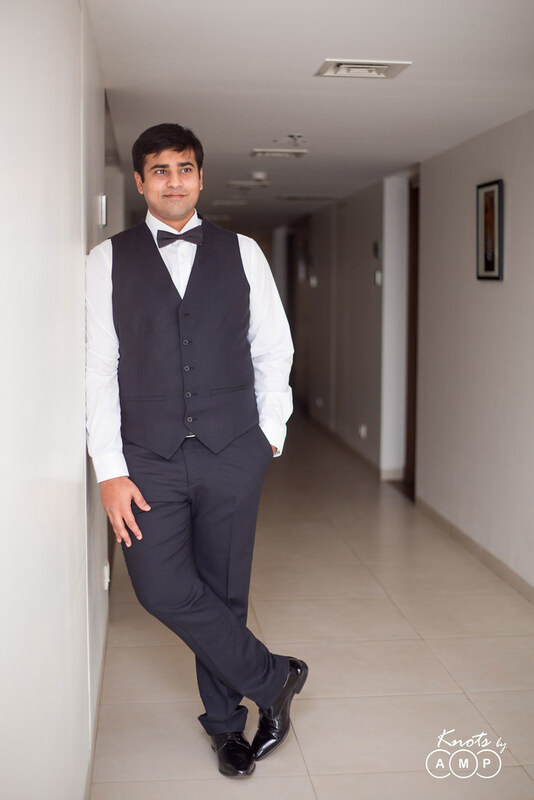 Mayank walked into the church in a black suit and bow tie. 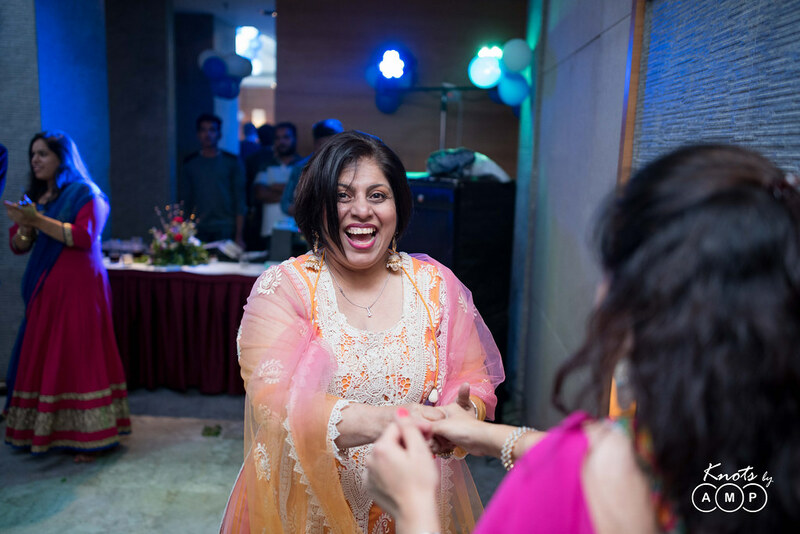 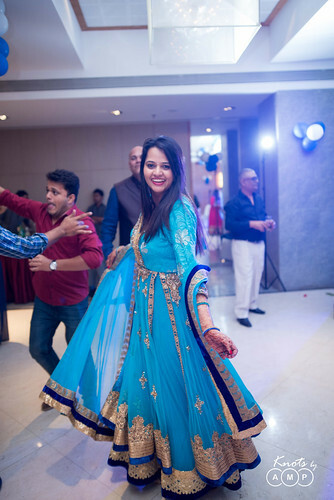 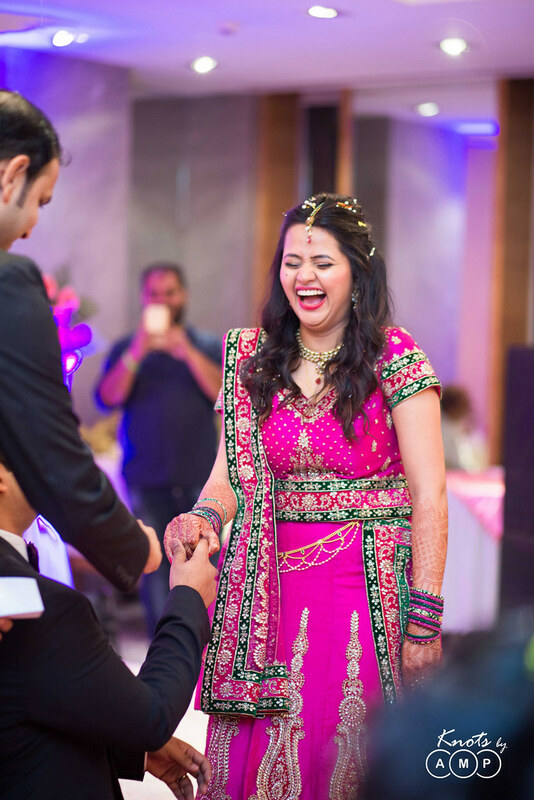 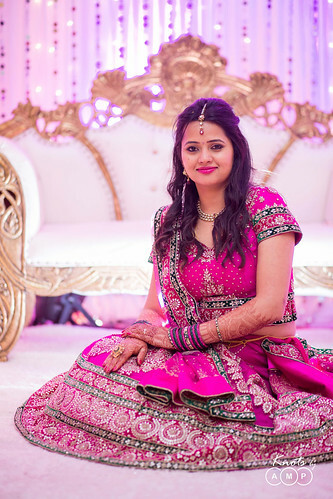 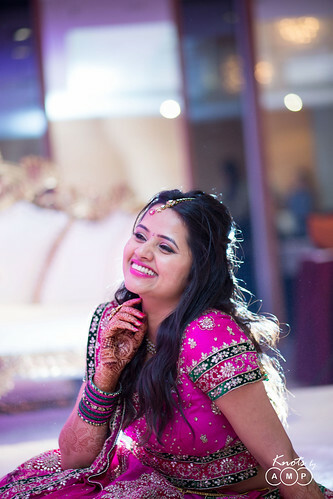 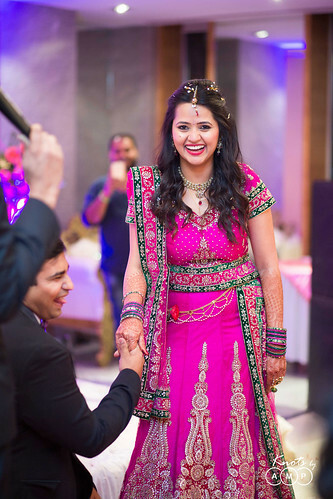 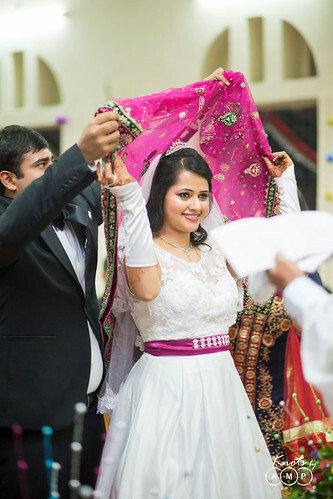 The wedding was followed by an evening reception where Roshini wore a pink lahenga and of course, her dazzling smile! 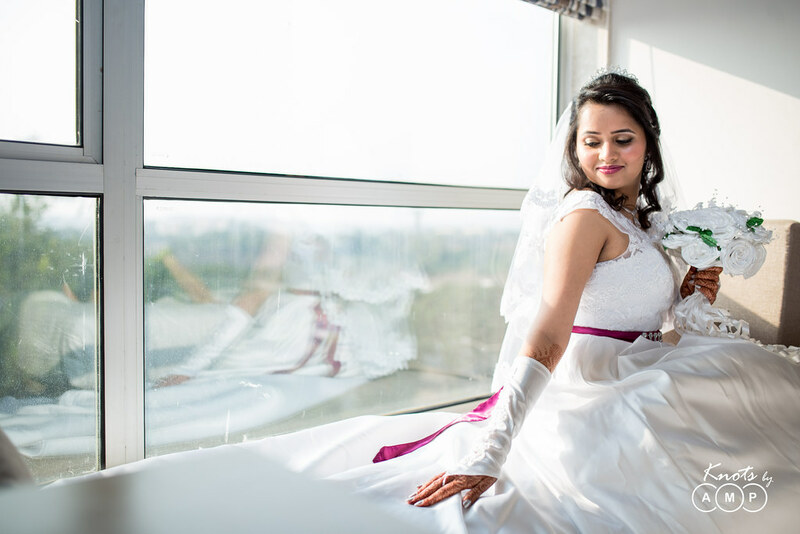 It is worth mentioning that the couple’s enthusiasm for the photographs was immense and during the couple shoot where couples generally get tired after 15-20 minutes of exploring the venue for perfect backdrops for some classy and memorable couple photographs, they were super thrilled to go on till 3 am in the night. 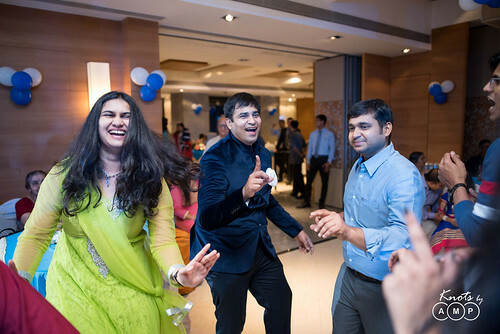 Most weddings end there, but given the dynamite of energy that these guys were, this wasn’t the end! 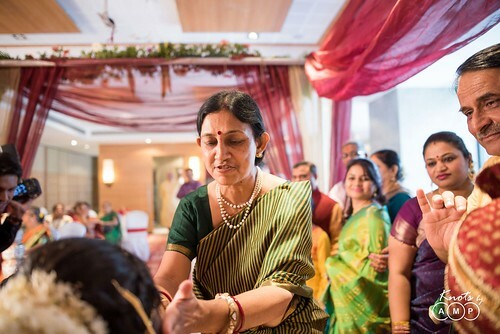 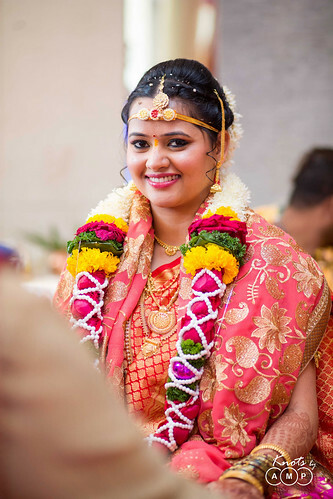 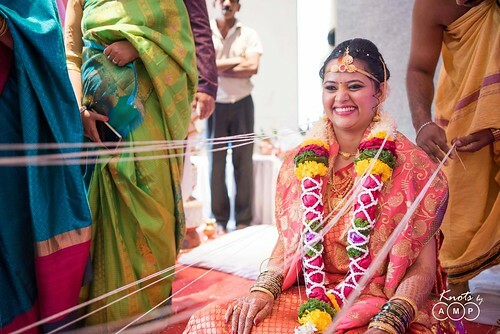 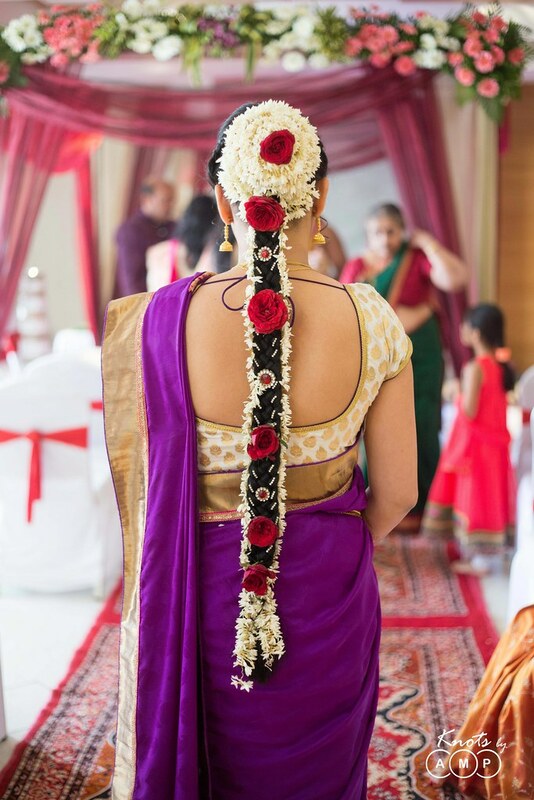 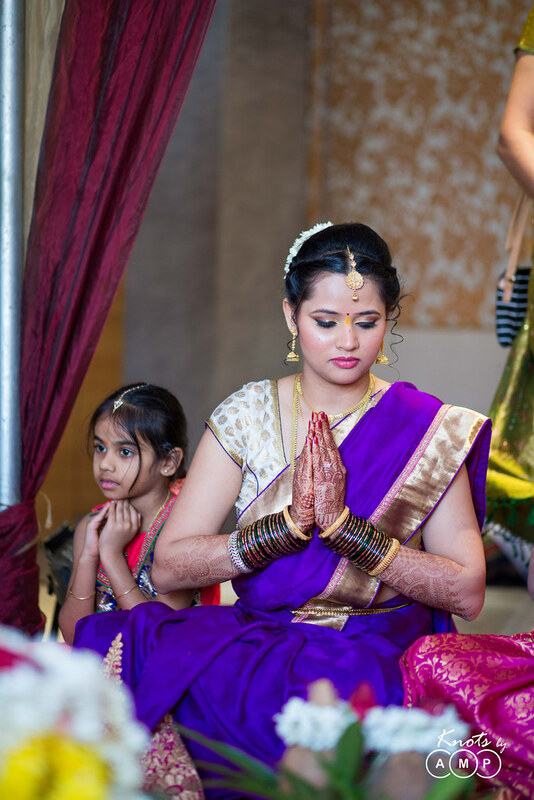 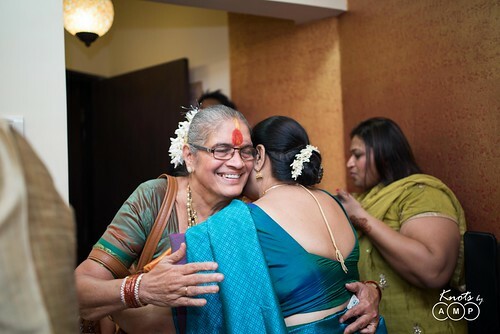 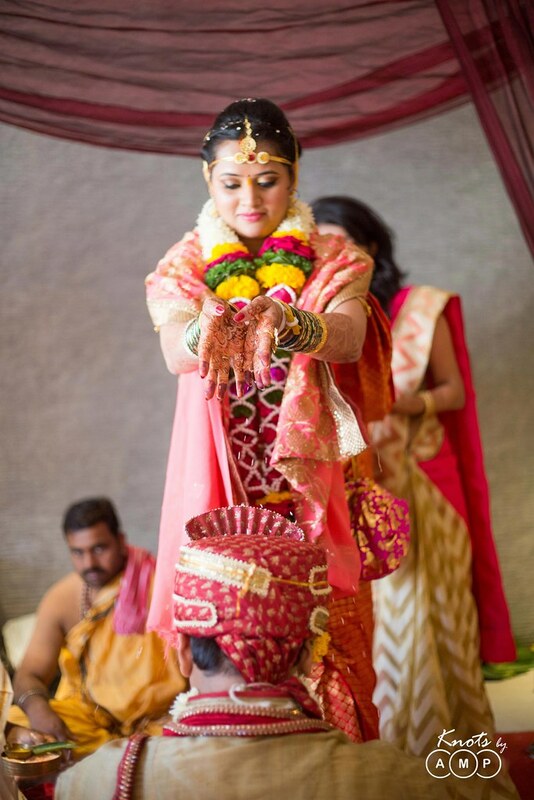 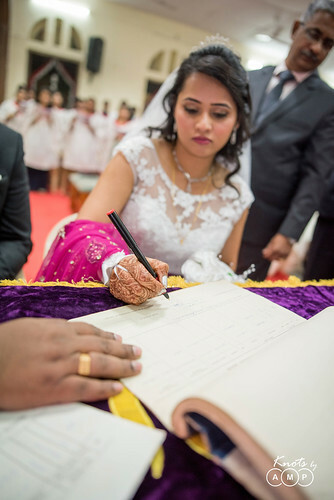 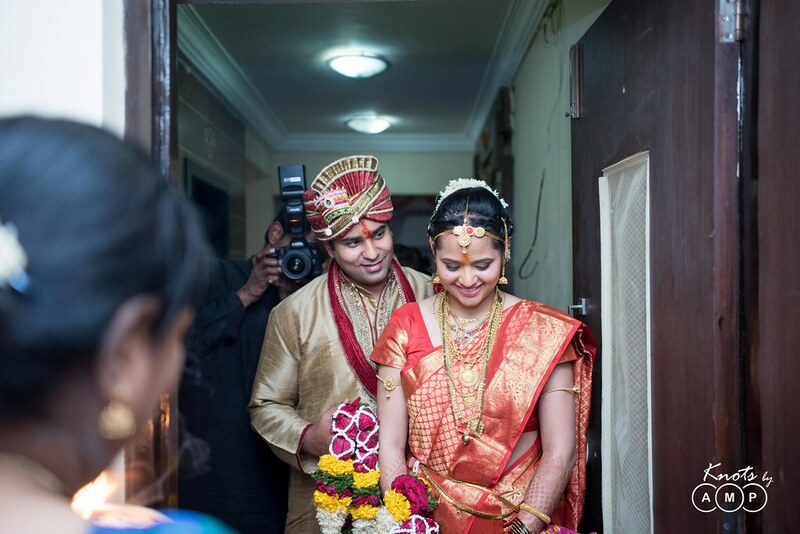 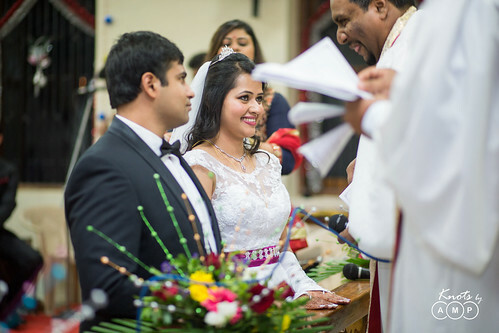 The third and most fascinating day of ceremonies began when Roshini stepped down in a stunning purple saree for going through a Mangalorean style wedding. 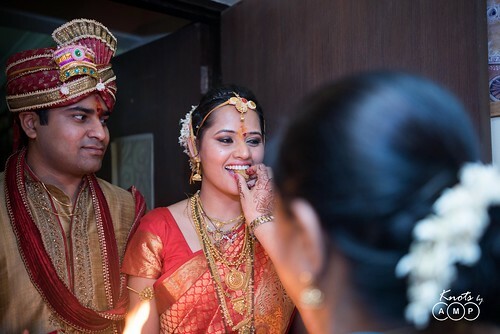 The ambience of the wedding suddenly changed into one with Nadaswaram and Thavil (shehnai and drums) pepping up the mood, gorgeous ladies in silk sarees and men wrapped in traditional munds. The ceremony began with a morning pooja followed by pheras. 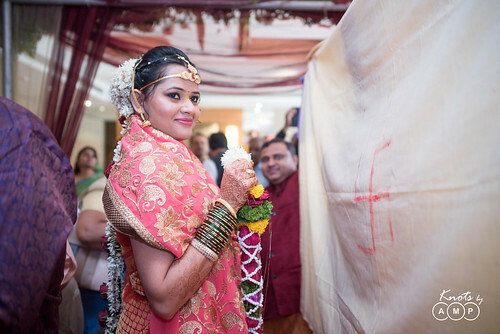 Roshini changed into a traditional Orange Kanjeevaram saree for the pheras. 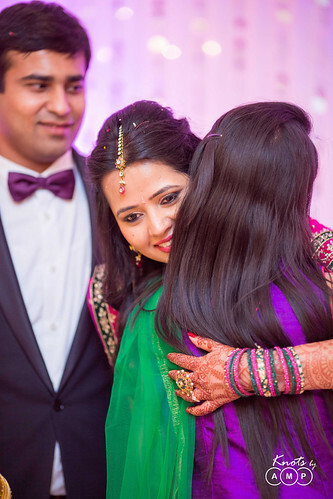 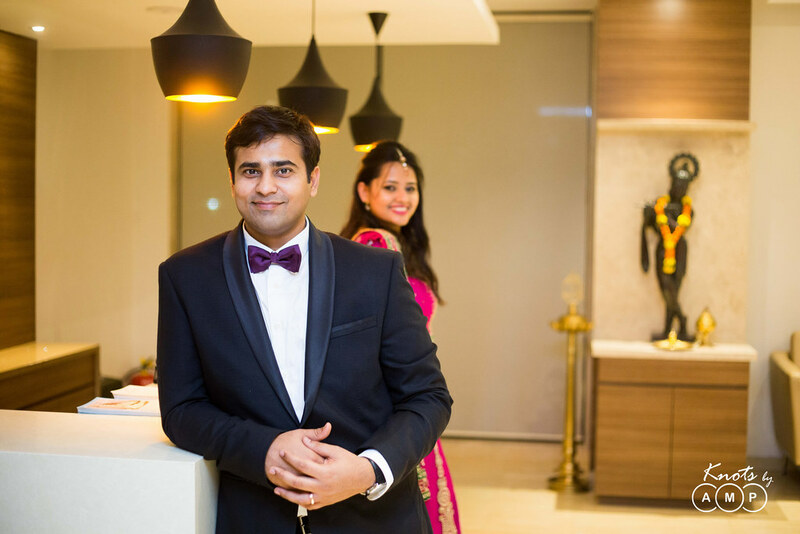 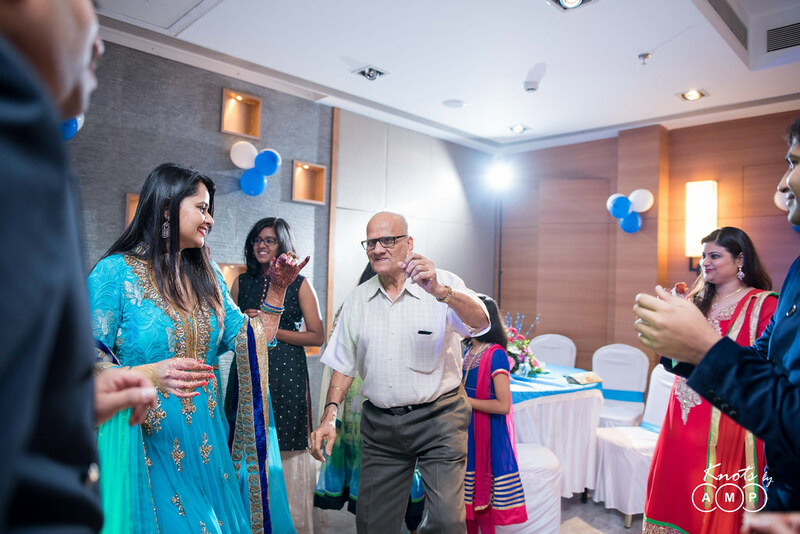 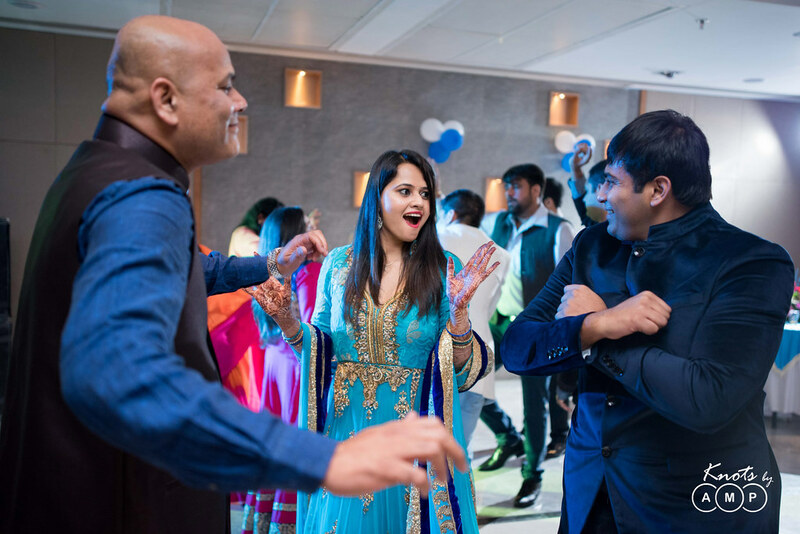 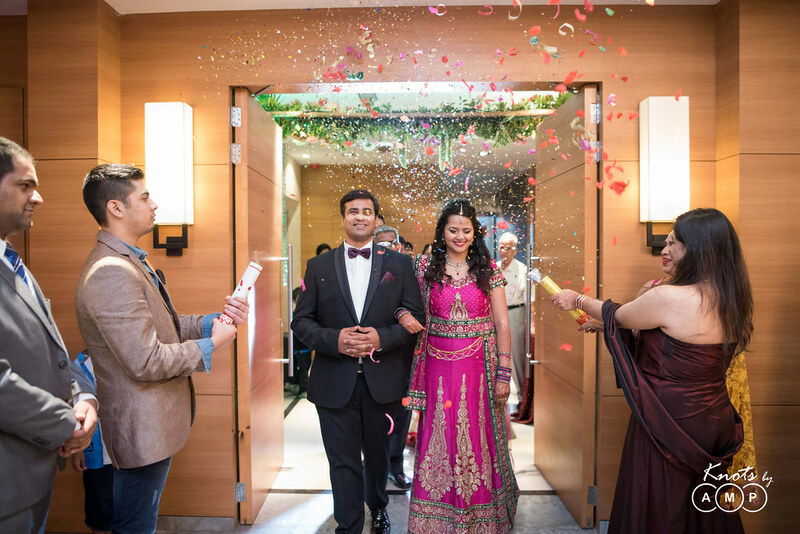 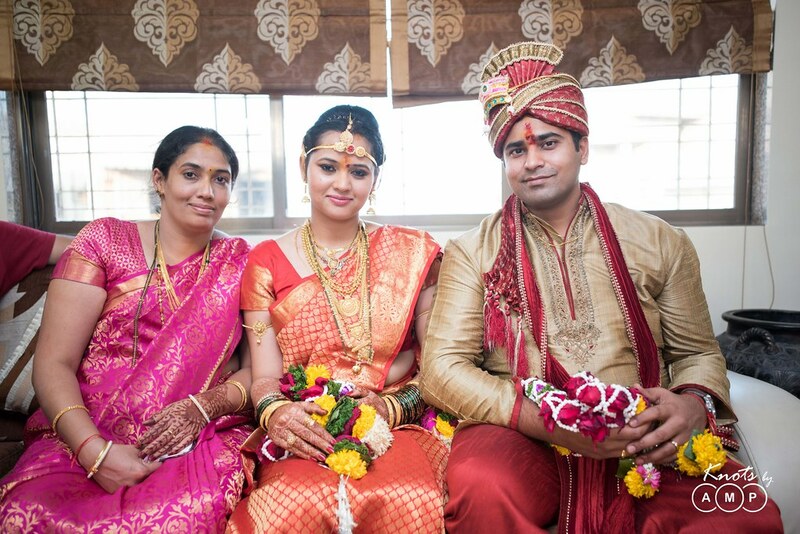 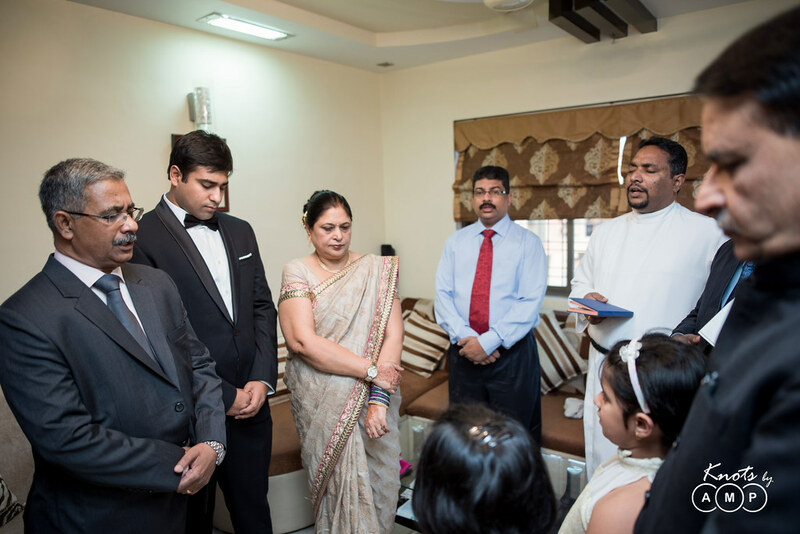 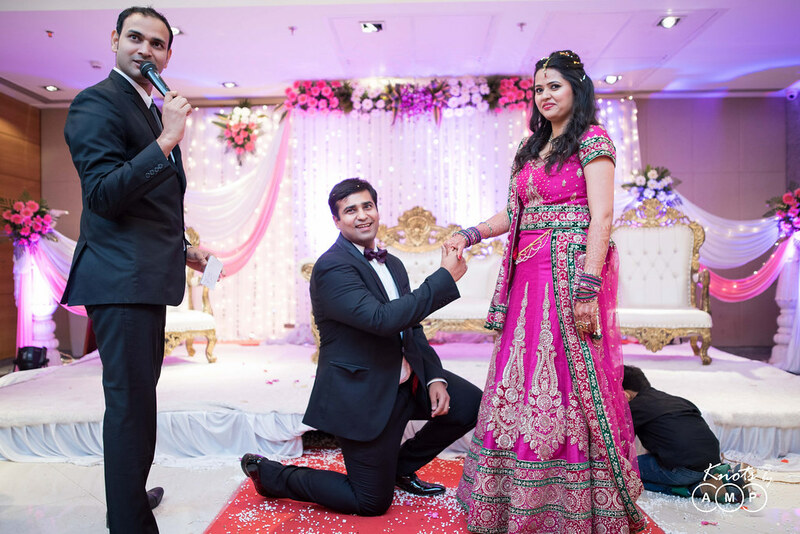 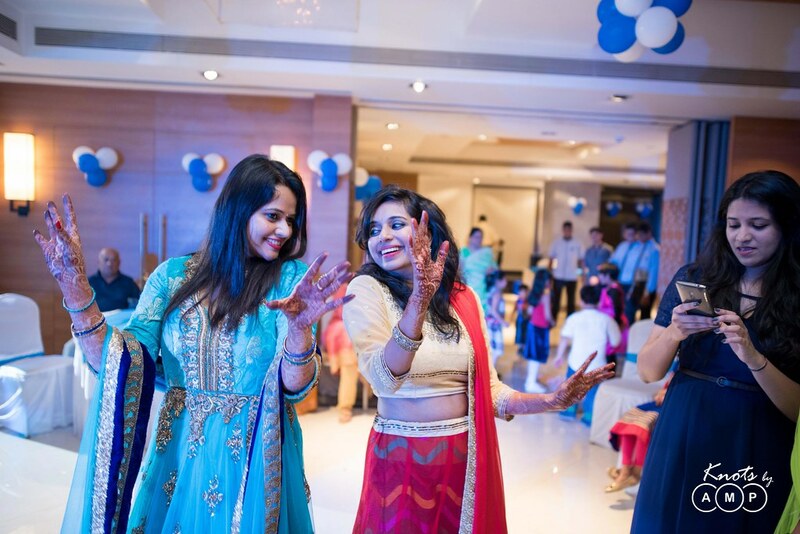 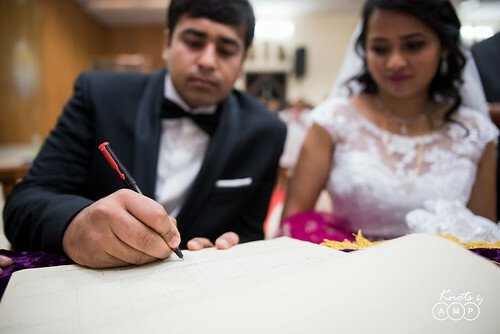 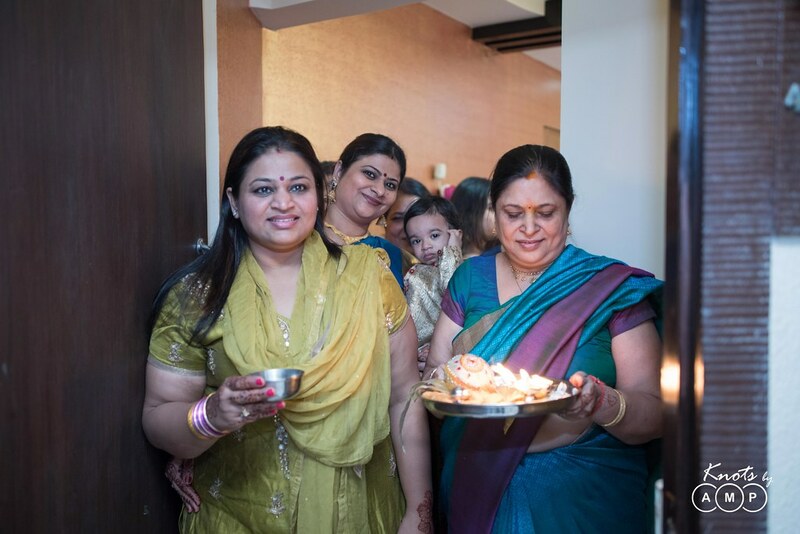 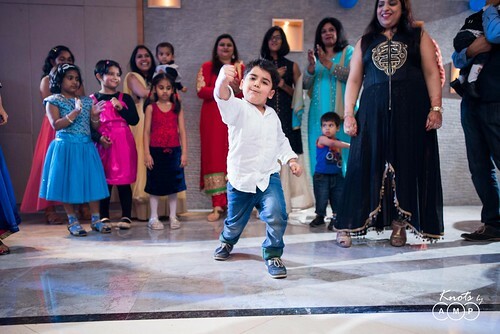 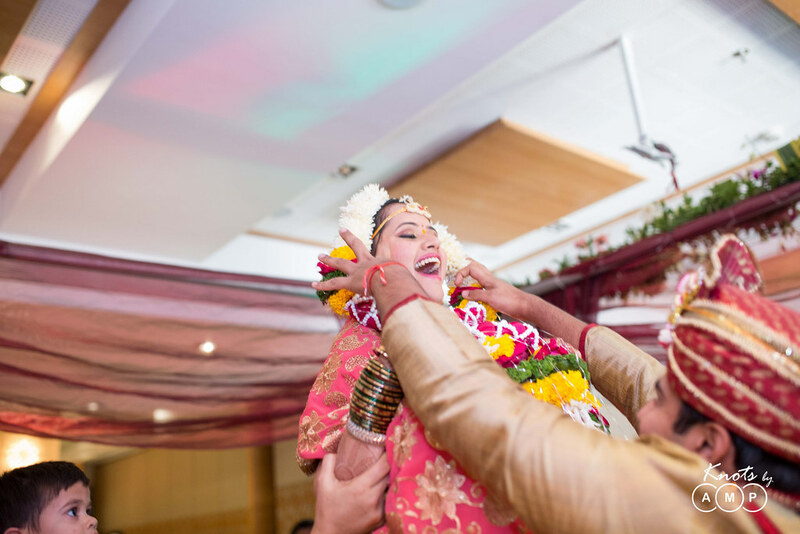 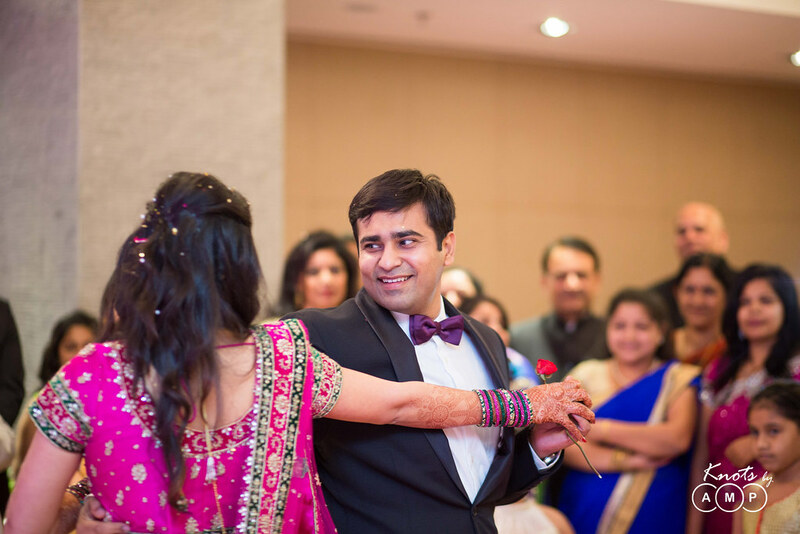 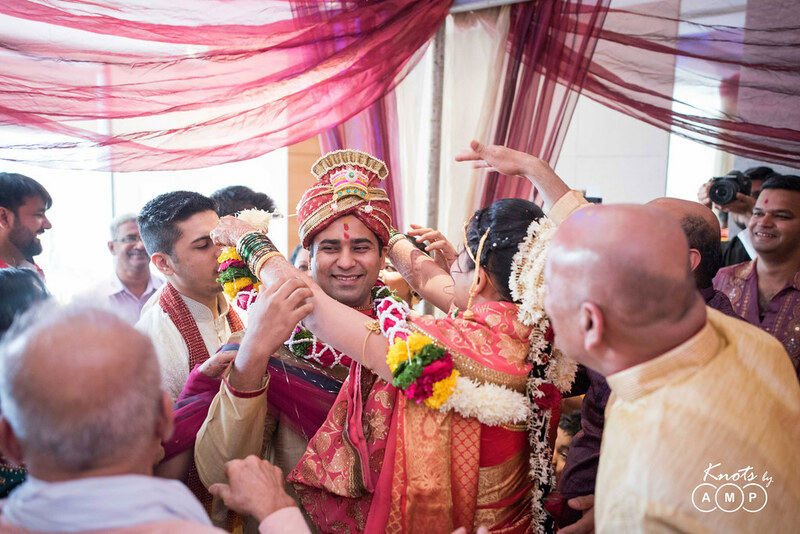 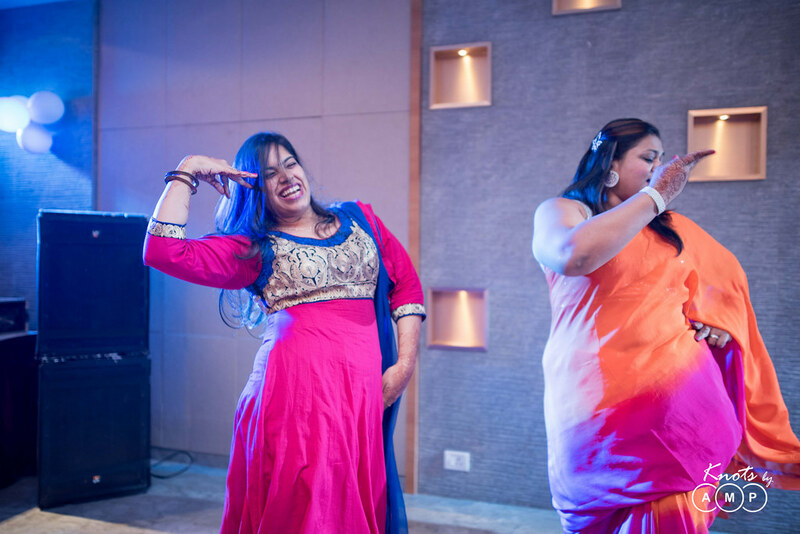 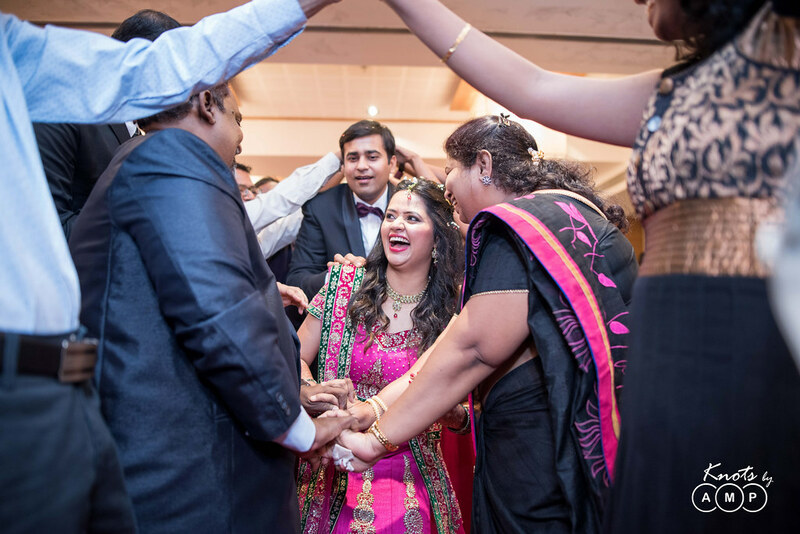 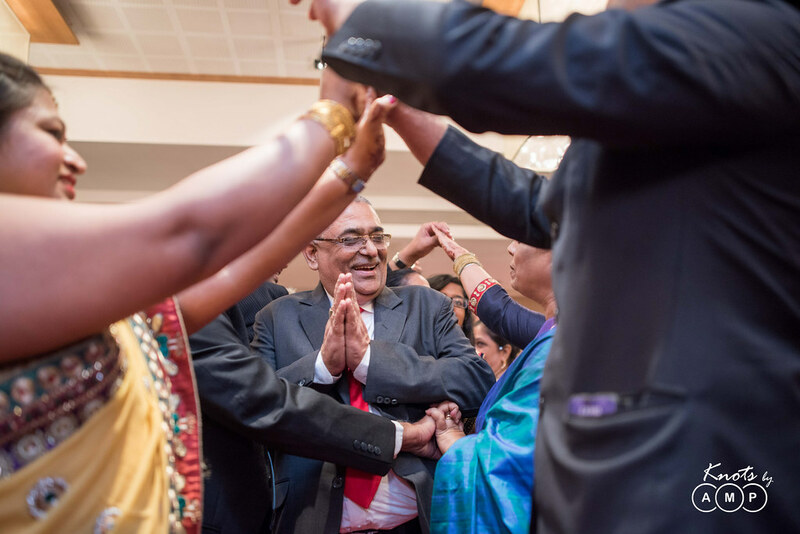 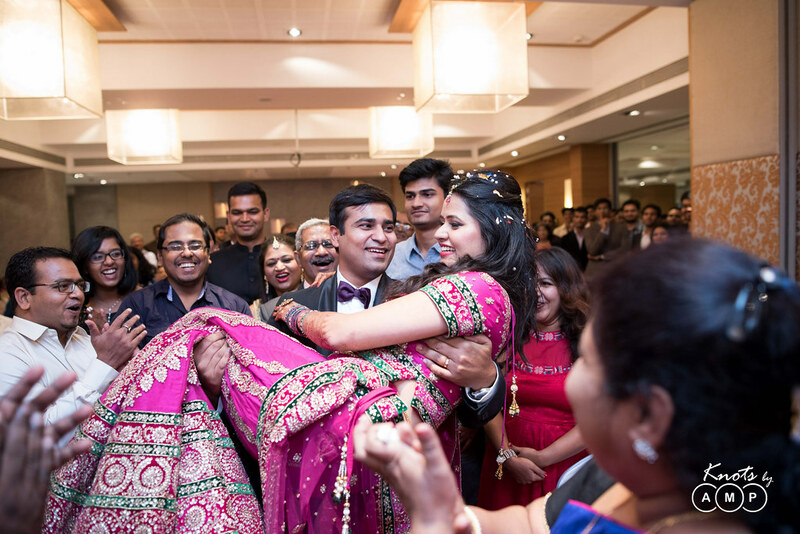 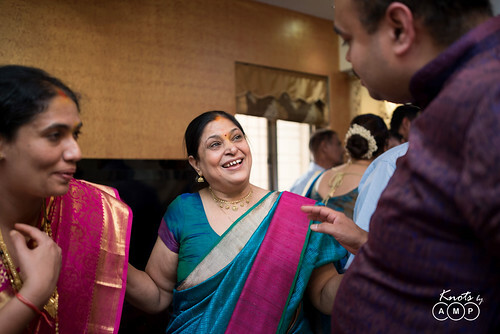 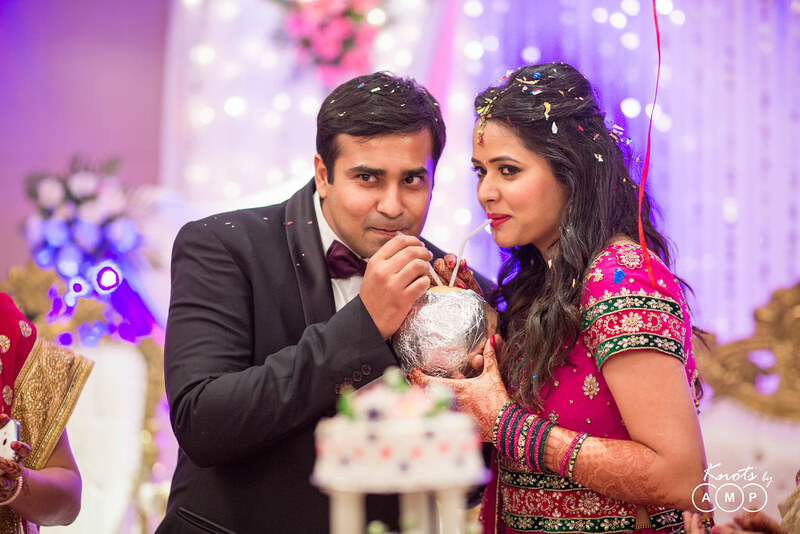 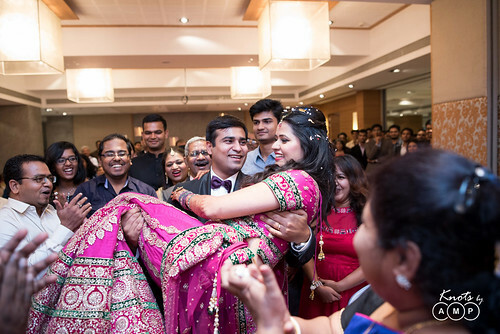 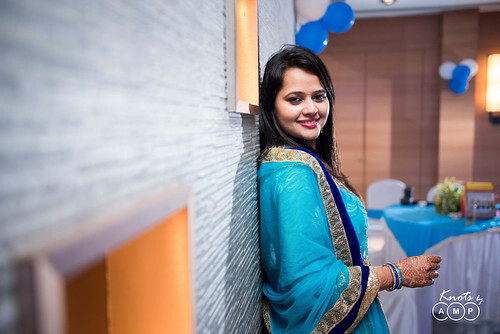 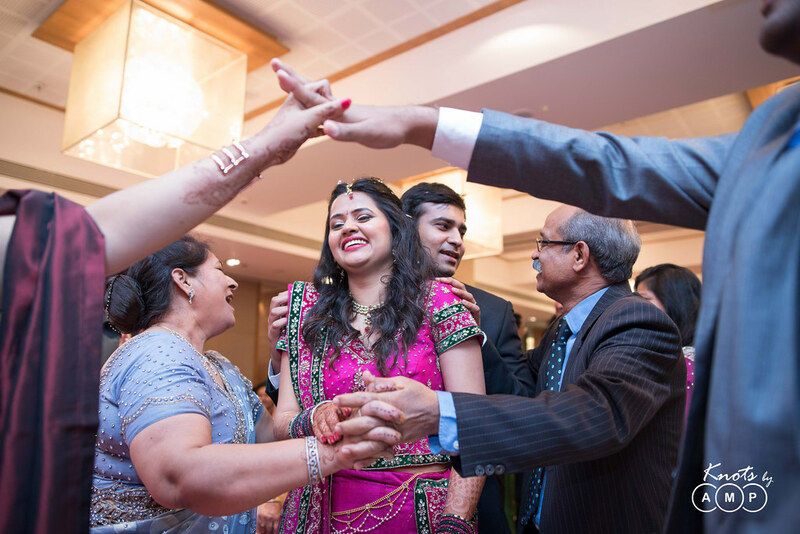 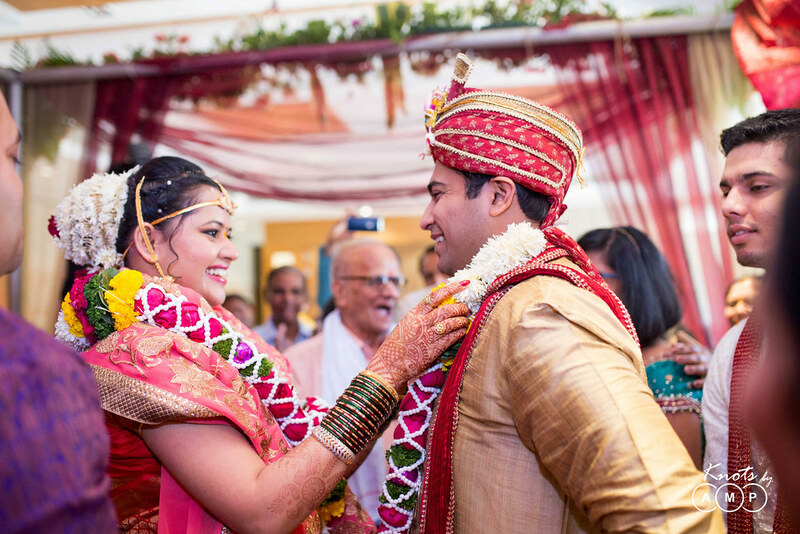 Throughout the wedding Mayank and Roshini enjoyed the energy in the room for their union. The day ended with this zealous couple walking to a 12th century ancient temple in Ambarnath, where we captured some of their shots with the magnificent architecture in the background. This wedding gave us so many opportunities to just keeping on capturing the marvel of so many cultures. We saw the couple walking the isle and taking the vows at the altar and then saw them the next day holding hands around the sacred fire. Love is indeed defined by the sparkle of smiles on the faces of the two people, whether in a church or a temple.